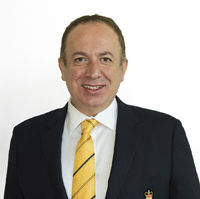 The Honourable Maurizio Bevilacqua is currently serving his third term as Mayor of the City of Vaughan. Prior to becoming Mayor, he was a Member of Parliament for 22 years, serving in several roles including Minister of State for Finance, Minister of State for Science, Research and Development, as well as Chairman of the House of Commons Standing Committee on Finance. He is presently the Chair of the Alectra Utilities Integration Committee, Vice Chair of York Region Rapid Transit Corporation, Chair of the Hospice Vaughan Capital Campaign as well as Co-Chair of the Mackenzie Health Foundation $250-million Exceptional Care Belongs Here Campaign. Mayor Bevilacqua is a member of the York Region Police Services Board, a member of the Global City Leaders Advisory Board for the World Council on City Data, as well as a member of the Advisory Council for the Post-Graduate Certificate in Business Administration at York University's School of Continuing Studies. He is also a past Vice-Chair of VersaBank and past Chair of PowerStream Energy Services. Mayor Bevilacqua holds the record for most votes ever received by a candidate in Canadian political history as well as most votes ever received by a municipal candidate in the history of the City of Vaughan. On Oct. 22, 2018, Mayor Bevilacqua was re-elected in a sweeping victory that delivered another strong mandate to govern. An ardent supporter of local charities and community groups, through his Spirit of Generosity fundraising initiative, more than $30 million has been raised in support of more than 150 charitable and not-for-profit organizations in Vaughan and beyond. His vision of Vaughan as a world-class city has set new standards in city-building and redefined the political landscape in Vaughan.